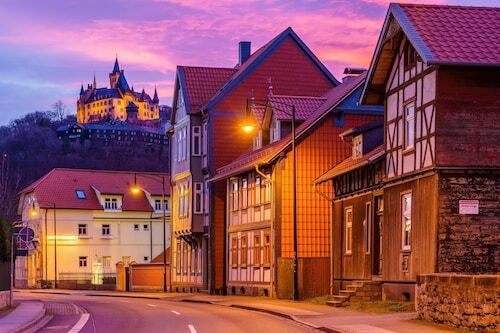 If you are the kind of traveler that finds wonder in everything, you'll be sure to enjoy Wernigerode Town Hall. 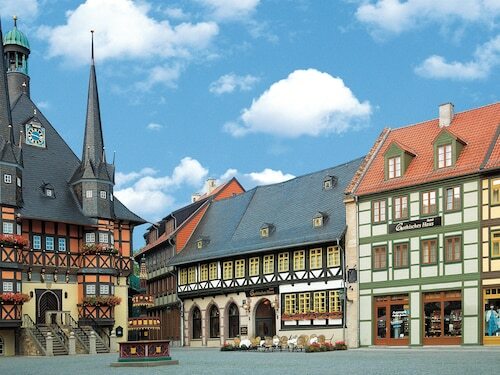 You'll have to make the 60 miles (97 kilometers) trip from the state capital, Erfurt, to Wernigerode, to check it out. 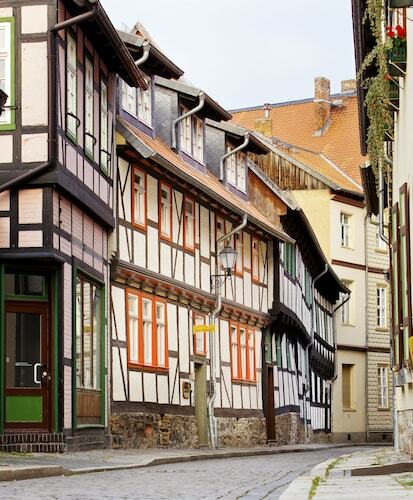 If you're searching for your accommodation, you'll be able to take your pick from 13 candidates that are all within 2 miles (3 kilometers) of Wernigerode Town Hall. The Ringhotel Weißer Hirsch, the Travel Charme Gothisches Haus and the Hotelpension Pfälzer Hof are a few that are well-liked, and they're only 0.1 miles (0.2 kilometers), 0.1 miles (0.2 kilometers) and 0.8 miles (1.3 kilometers) away, respectively. 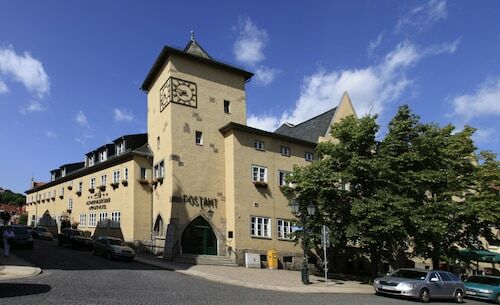 Anyone who appreciates a great deal will likely appreciate staying a night or two at the Harz Hostel, only 0.7 miles (1.1 kilometer) away. If you’re searching for someplace elegant to lay your head, look up the handful of upscale hotels nearby. 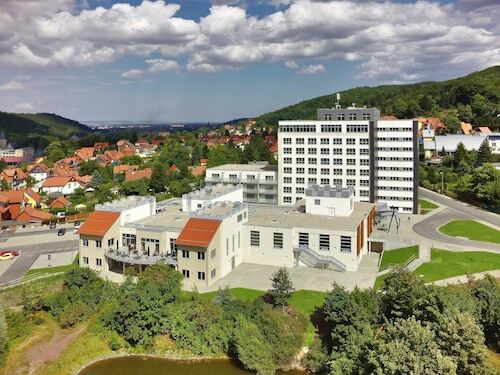 A pair of consistent favorites include the Harzer Kultur- & Kongresshotel Wernigerode, 0.3 miles (0.5 kilometers) away, and the Hotel Schlosspalais Wernigerode, only 0.2 miles (0.3 kilometers) away. If you're the type of traveler who does a large amount of your traveling from the cozy interiors of cafes, you've come to the right place. An easy walk away, Café am Markt provides all the drinks and treats you need. 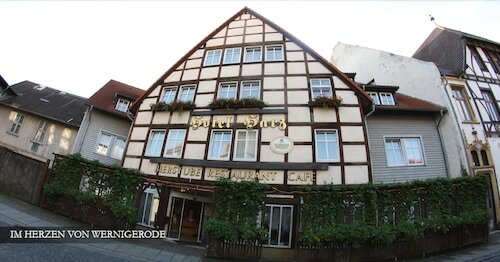 Just in case you're after food that's more substantial, Die Stuben is also nearby. You know it's time for a drink or two when the shadows grow longer. Ask the bar staff for your favorite spirit or wine at Tommis Pub, just a hop, skip and a jump away. You should consider spending a morning or afternoon at the popular Wernigerode Christmas Market. Have fun as you browse the charming stalls with locally produced goods. Wernigerode Marketplace is an excellent place to find a unique gift item or perhaps just have a delicious snack. Check out Schloss. This amazing historic castle is guaranteed to impress you. If you enjoy wide open spaces, National-Park Harz is a place you're certain to appreciate. Bring the kids for a walk in this calming environment. If the possibility of exploring a genuine castle excites you, then it's your lucky day! Wernigerode Castle awaits. 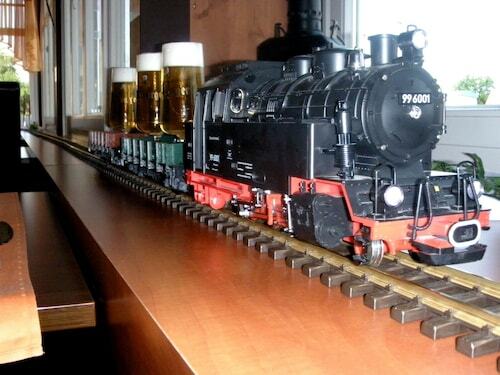 One convenient way to get to Wernigerode Town Hall is by rail. The best station in this situation, Westerntor, is only 0.1 miles (0.2 kilometers) away. Wernigerode is another station, approximately 0.5 miles (0.8 kilometers) away. 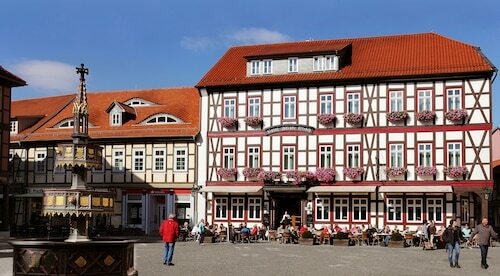 How Much is a Hotel Room in Wernigerode Town Hall? 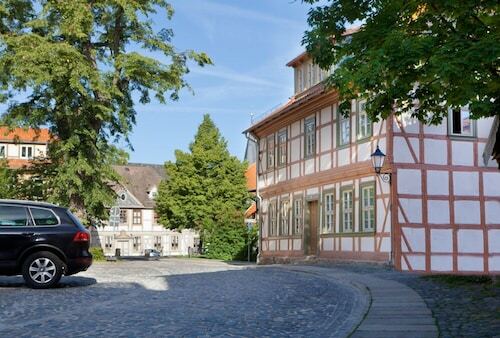 Hotels in Wernigerode Town Hall start at $71 per night. Prices and availability subject to change. Additional terms may apply.